At Derby Grammar School’s House Music competition Atkinson triumphed as winners and were awarded the Ivan Blunt Cup for Senior School Music. After an intense two weeks of practice and auditions across the whole of senior school, the best performers were taken through to the category finals which took place on Monday morning. This session was judged by our organist, Mr Tim Capes. 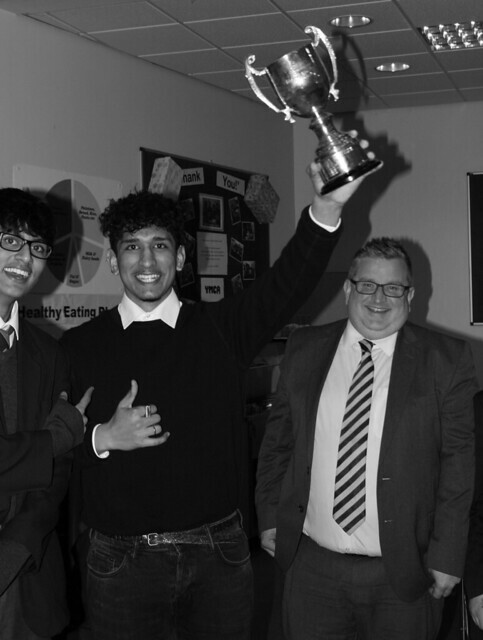 Mr Capes announced the category winners who then went on to perform in the House competition on Monday evening. Performances were split between Lower School (Years 7 to 9) and Upper School (Years 10 to 13). The task of judging the House competition fell to Mr Wilford, our Junior School music teacher. As a keen cellist, pianist, chorister and past Director of Music, he certainly knew what he was looking for! Overall, the results saw Atkinson House as winners with Blackton in second, Derby in third and Bemrose in fourth. Head of Music, Mr Coley, said: “We’ve had a full-on time auditioning in class time and break times. I’ve seen well over a hundred pieces which cover all sorts of standards and instruments.